Hello everyone! How’s your day? Did you watch the preliminarily of Miss Universe 2015? I can’t watch it since I didn’t know about it until the news of Miss Indonesia 2014 won the national costume. When I heard that, I browsed the internet to see the national costume. A lot of other consestants’ costume also popped up and truthfully, they’re all beautiful. Some are exceptional, and of course Miss Indonesia’s national costume is the best (speaking of nationality and the fact that it was made by my own teacher back in ESMOD – Sir Dynand Fariz). The details and the meaning behind the design really made me fall in love with the costume. From the national costume that has been the trending topic all over the internet, I also saw some photos about the contestants’s evening gown. Still from Miss Indonesia, I found some of her beautiful dresses that I love. All of them are specially made by Indonesia designer, like Anaz Khairunnas, Didiet Maulana, Ivone, Yuana, Anne Avantie, and Dynand Fariz (saw the link above for the news source). 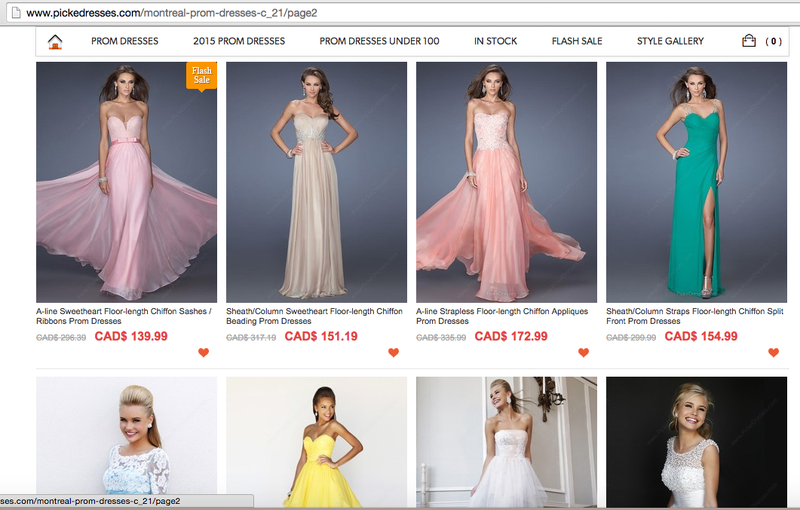 Since I can’t really find the photos of all the dresses Miss Indonesia, Elvina Devinamira wore for the Miss Universe 2015, the options are too small. But, beside the national costume, my favorite is the ‘Silence of Maja’ by Anaz Khairunnas. The detail of the white dress and the story behind the design always amaze me. 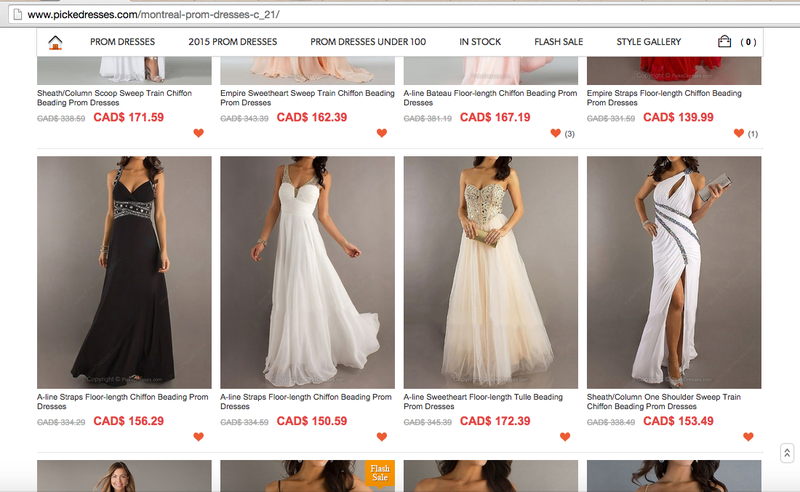 These talking about beautiful evening gown reminds me of the collection of Picked Dresses. 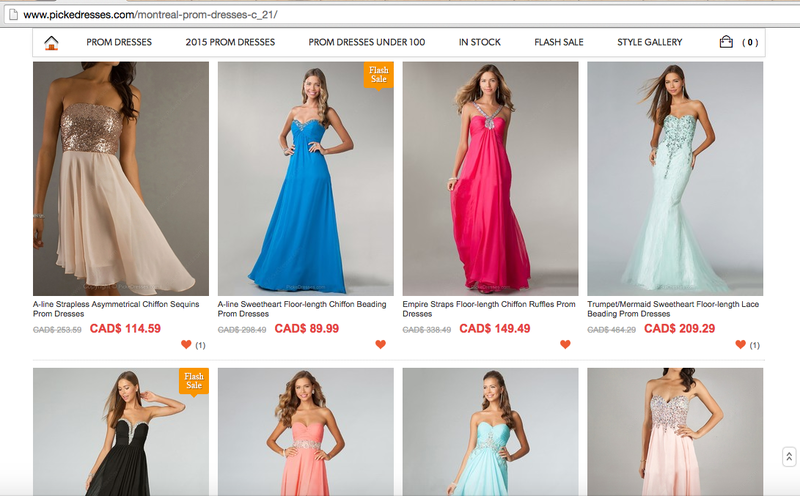 Visit their website here for amazing collection of prom (and can be used as evening) dresses. 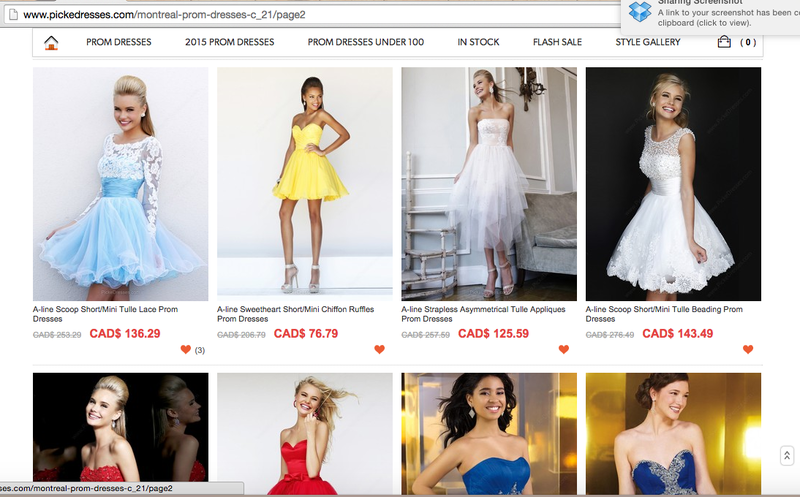 They have a lot of beautiful Montreal prom dresses, don’t you agree? Let me highlight some of my favorite. This broken white tulle mermaid dress is definitely my favorite. Imagine the color changed into black. A total babe. Not only it will look elegant, but also will give you a dark kind of glamour vibe. The dress will make you look mature and feminine. My second favorite is this mini white tulle dress. The dress still looked so simple even with the beads all over the torso area. As a fan of simple dress, I tend to avoid too much beads on my dress. But this dress is exceptional. In fact, the beads is the reason why I picked this dress! If they didn’t put the beads on the dress, it will be too simple and not eye-catchy. Even with the pretty flower-patterned tulle on the skirt (which why I love this dress so much), without the beads on the torso, this dress will be too simple. You will not look too childish or too mature with this dress. 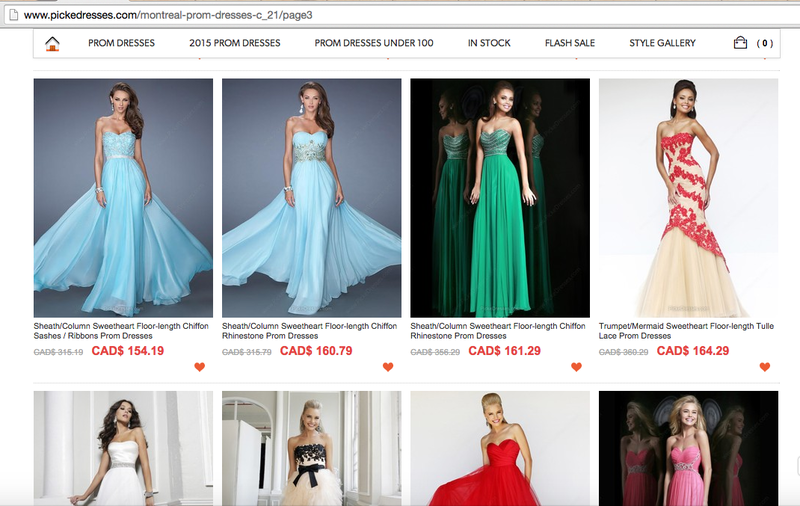 The dress can bring out the child-like vibe, a feminine side, or an elegant side of you. You can just be yourself and choose which side you want to show.